Heaven's Blessings is part of "Gifts to Remember Ltd". We specialise in catholic jewellery, personalised rosaries, rosary bead bracelets, engraved gifts, religious jewellery and jewellery with engraving. As such we have make many gifts for baptisms, first holy communions, confirmations and other special occasions. 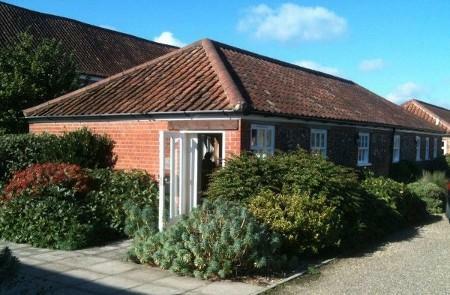 Our main office is located in Hellesdon, Norfolk in a converted 400 year old milking parlour (shown above). The business was started in 2002 by Karen Hannant after many years of making jewellery and we now have a team of professional jewellery makers working 7 days a week on our customers' orders. We pride ourselves on a professional, friendly service and top quality workmanship. Gifts to remember Ltd is the parent company to Heaven's Blessings, Jewels 4 Girls, Charming Engraving and Someone Remembered. Many of our catholic jewellery designs have been inspired by our customers' requests so we always welcome ideas and suggestions. 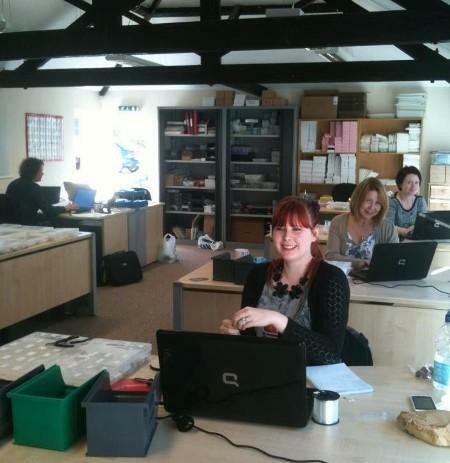 If you would like a special, individual piece of jewellery made just for you please contact us. We are always happy to discuss your ideas with you. We are continually expanding our range of catholic jewellery and baptism gifts aswell as jewellery for first holy communions and confirmations, by adding new products on a regular basis. Why not add us to your favourites so you can find us easily? We also run a very successful "Top Rated Seller" eBay shop where you can see we have 100% positive feedback from customers on over 20,000 transactions! You can visit the eBay shop at http://stores.ebay.co.uk/Jewels-4-Girls Please bear in mind all prices are slightly lower here on the website as we don't have the same fees to pay so we can share the savings with you. Jewels 4 Girls is also part of our company. Through this website we offer many items of personalised jewellery for girls and women. Our Personalised First Holy Communion Jewellery collection is one of the largest on offer in the UK today. Charming Engraving is also part of Gifts to Remember Ltd. Through Charming Engraving we sell a beautiful range of engraved Sterling silver jewellery products. This includes Engraved Silver charms for Pandora style bracelets, Heart Charms, Charms on lobster clasps and various items of jewellery for custom engraving. Someone Remembered is also part of Gifts to Remember Ltd. Through Someone Remembered we sell a unique range of sympathy gifts and Memorial Jewellery all specially designed by ourselves.